My crew- out on Attean Pond around Jackman, ME- Hauling a heated tent set up. Just in time for holiday gifting. Consider an immediate purchase of the grandaddy/grandmummy reference of old-school traditional warm comfort in the winter camping. This book has been out of print ( again ) for several years now, but is back and available untilo it sells out again. I recently re-read the book (I have a couple of my own treasured inscribed copies) and discovered additional material that I’ve somehow overlooked or breezed over on past readings. Paperback – 288 pages, 32 full-color pages, from Stone Ridge Press. 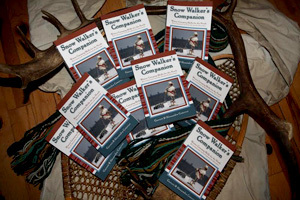 “Snow Walker’s Companion is a guide to comfortable winter camping using tried and true traditional equipment and native skills. The Conovers show us how to sleep warm, travel safe and enjoy the white season. Guides in Maine and Labrador for over 30 years, Garrett and Alexandra have learned not only how to survive in the North in winter, but to thrive. They share their little known secrets in an easy–to–read conversational manner. BONUS! A 32–page color insert on Garrett & Alexandra’s epic 350 mile snowshoe trip across Ungava, Quebec. Excerpts from their journals are highlighted with photos from the expedition. In the meantime, if you can’t wait for your own copy and want to learn more about the specific techniques that are detailed by the Conovers, check out this recent blog post from Paul Kirtley, entitled How to Live in A Heated Tent . Paul runs Frontier Bushcraft, a wilderness bushcraft school, offering bushcraft courses and wilderness expeditions. Paul’s photos and text hits a lot of the highlights of just how heated tent winter camping works in the UK, which is strikingly familiar to how it works here in the USA and Canada. If you decide to get your own copy of the Snow Walker’s Companion, tell Garrett that Uncle Tom sent you. Two superb presentations took place in November at this year’s Snow Walker’s Rendezvous in Fairlee, VT. If you would like an overview of the whole Nov. program, I recommend tuning into Alex Gusev’s six minute YouTube video. Alex is handy with the camera, and weaves several presentations into a compact package. The first was Scott Ellis’ multimedia presentation entitled “Finding Simplicity in Winter Camping”. I appreciated Scott’s low-key approach to having adventures outdoors. Scott’s got tons of experience, and puts together informative videos about taking minimal gear and having fun in all conditions. For his presentation he loaded up some clips from his videos. Here is the full length version of him taking a piece of plastic sheeting, building a makeshift teepee, and putting some heat and comfort in his shelter by setting up a wood stove stove in there. The second top-shelf presentation was by Paul Sveum , ” 21 day Snowshoe Trip in the Boundary Waters”. His talk highlights a twenty one day winter trip that takes place in march of 2014 in Minnesota, from the end of the Gunflint Trail (Saganaga Lake) 75 miles into downtown Ely. It was a particularly cold trip, with night time temps getting to 55 below zero. Paul is an instructor at the Jack Mountain Bushcraft School way up north in Marsadis, Maine. The video captures an adventure of a lifetime, with a cast of characters that you rarely get to watch in action. It’s these types of programs that keep me coming back to Vermont every November to catch the latest installments from the Masters of Winter Wilderness Travel. It’s all set to repeat in Nov. 13-15, 2015. The event cuts off reservations at 100 folks, and if you have never been there- consider going. Stay tuned to this bog, where I’ll post the registration link sometime next fall. 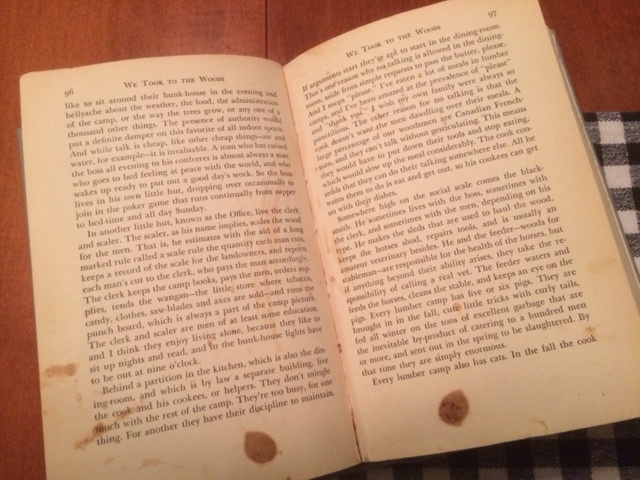 I’m waiting this morning for the start of the next winter Nor’easter snowstorm by reading this stained old library book that was published in 1942. Just about every page is dog-eared, and most of them stained with coffee, grease, and several worse-looking colors. 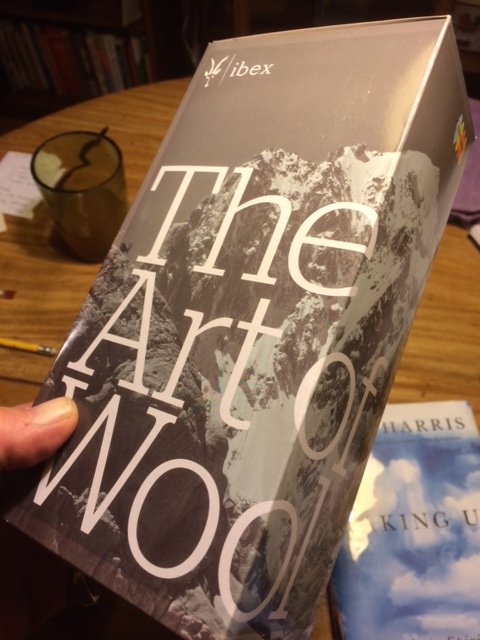 It’s We Took To The Woods, and is the suggested background reading for the winter outdoor skills course I’m taking from Mahoosuck Guide Service in three weeks that will be taking place somewhere out in the bush on Map 18 of Delorme’s Maine Atlas and Gazetteer. Map 18 is one of the fringe maps in the Gazetteer. It’s on the border of Maine and New Hampshire, and only 1 map down from Quebec. Andover is the town with the largest and boldest print on map 18, however it boasts around 800 residents. The last time I was up there was a couple of years ago when I helped out my hiking pal Old Buzzard, who maintains the very remote and steep stretch of Appalachian Trail from the South Arm Road to the top of Old Blue Mountain. Andover center is a tiny place, and home to The Cabin, a renown AT hostel where I plan to stay this coming hiking season. 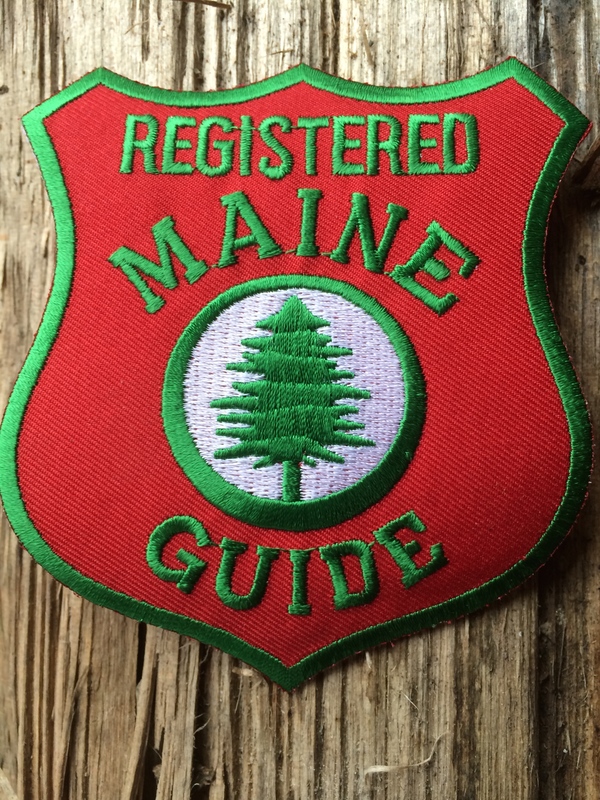 Last month, I passed the requirements that let me wear this patch on my plaid wool coat. The course I’ll be taking in December is designed to cover the skills needed to safely guide others in the winter. Some of the topics that will be covered are hypothermia, reading winter ice, preventing and treating frostbite, and navigation techniques in white-out conditions. I suspect we’ll each spend a winter bivouac with just the clothes on our backs- possibly in a snow & bough shelter. I’m excited about picking up some skills on fire building without matches, and learning the basics of dog team use. We’ll get some time on a snowmobile as well. Back to the book. We Took to the Woods was initially published in 1942, and is about a young couple from away who move to one of the most remote spots on the far edge of Map 18, overlooking the Rattle River somewhere between Pond in the River and the Lake Umbagog National Wildlife Refuge. Life in the 1930’s in backwoods Maine was tough back then, and is tough even now. Louise Dickinson Rich and her husband had to cut, split, and haul 10 cords of wood to heat their living space each winter. A couple of weeks ago, I joined a dozen other neighborhood men as we sawed, split, hauled and stacked 10 cords of firewood for our neighbor Andy, who was down and out with a back problem that will put his wood hauling off the to-do list for a few months anyways. I’m so worked up right now about living and working in Maine. The same basic survival skills that I am reading about in this gem of an old book is going to be be my curriculum for four days in a couple of weeks. If we are confident in foundation skills that are necessary to be comfortable and safe living outdoors, it doesn’t matter if it is 1934 or 2014. Freezing cold, fire building, moisture management, and staying warm with less can not only save a life, but assist us in making that vital connection with our ancestral past. It’s somehow all in side us, but has to be rekindled, like a skillful application of a tiny flame. WCSH’s Maine-based TV news magazine “207” interviewed me at my kitchen table two weeks ago. The second half of the interview is Tonight, Tuesday, Nov. 28 at 7 PM. Catch it at 7:00 p.m. on channels 6 in Portland and 2 in Bangor. 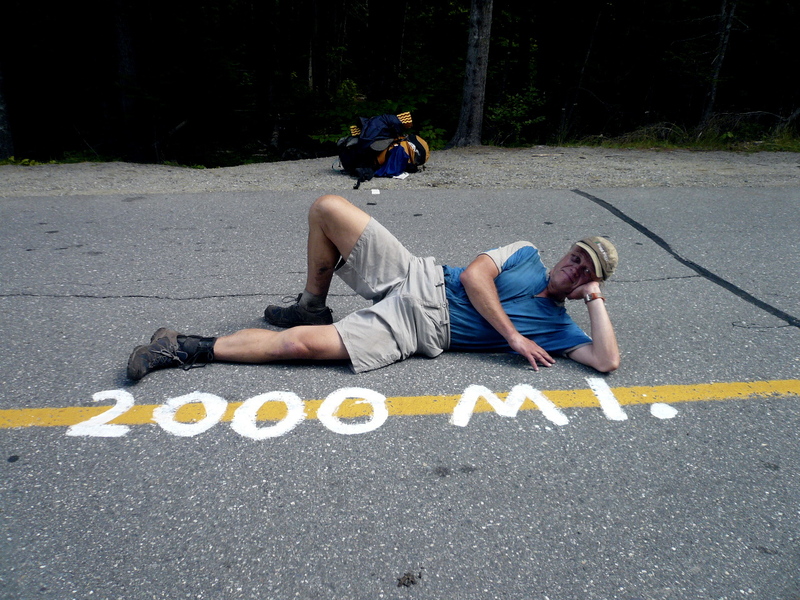 I’m talking adventure, about walking for months on end at a time, and what’s next after being awarded the Triple Crown of Hiking. My interview will also be posted in the 207 section of www.WCSH6.com, where it will remain online for approximately 6 months. I’d like to thank all the hundreds of hikers, neighbors, family members, and even those complete strangers who assisted me during my year and a half of backpacking. Rob Caldwell’s Maine-based TV news magazine “207” (named after Maine’s one and only area code) interviewed me at my kitchen table two weeks ago. 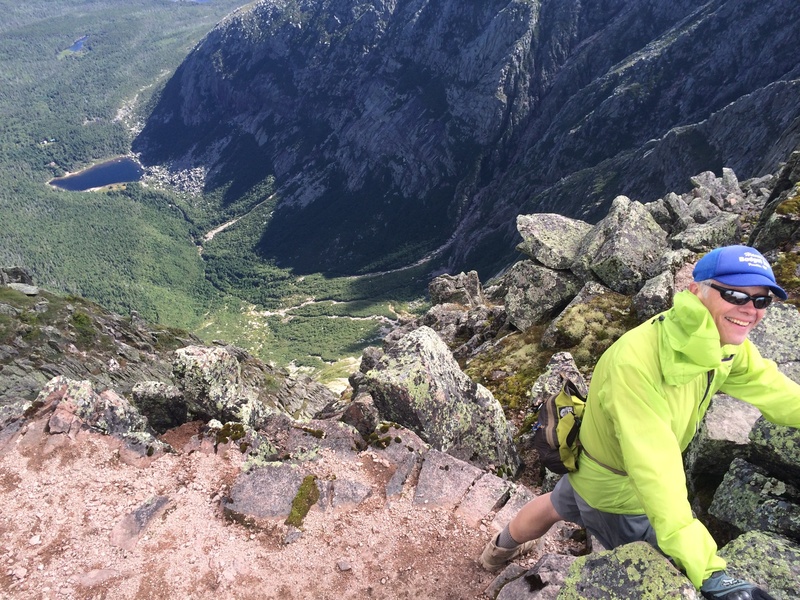 Rob’s program will feature a conversation we had about adventures, walking for months on end at a time, and being awarded the Triple Crown of Hiking. The interview is airing tonight: November 24 —part 1. Part 2 airs on Tuesday. Catch it at 7:00 p.m. on channel 6 in Portland and channel 2 in Bangor. It will also be posted in the 207 section of www.WCSH6.com, where it will remain online for approximately 6 months. Rob told me to, “Tell everyone you’ve ever met. We want even people on hiking trails who are fifty miles away from the nearest TV to watch.” I’m trying! Ibex does it right, again . Men’s woolies tights -replaced, again. I am hard on gear. I can find a company whose products are robust enough that I don’t break their stuuf, that’s great. It’s even greater when I do break stuff, and deal with a company that comes through for me. Ibex is on that short list. Steripen, Four Dog Stove, and Patagonia are also on that list. [For full disclosure, I have received sponsorship donations from all three companies.] Leki trekking poles are on that list (But only if you stay away from their carbon fiber poles, which are apparently so breakage prone that their warranty is limited to just 1 year. The aluminum pole line is a much better deal, with lifetime replacement on any broken pole sections). Western Mountaineering (superb sleeping bags), and Cascade Designs (thera-rest-sleeping pads) both came through when their products failed on the trail. ULA Packs also backs up the hiker. These guys are definitely off my list: Mountain Hardware, Arc’teryx . I don’t think these Ibex tights are going to give me problems. I only use my Ibex tights to sleep in, or wear around camp at the end of a day of backpacking. I like to put a clean layer between my often grimy body and the interior of my down sleeping bag. The old tights were prone to tearing, which happened when I was squeezing into the tights after a shower, more than once. The previous model was ultra-thin, with a light thread weave that’s not used for tights anymore. The new ones look tear proof. Thanks Ibex, and thanks to all the companies out there that back up the hiker. The interview will air in two parts : November 24 & 25th—part 1 on Monday, part 2 on Tuesday. Catch it at 7:00 p.m. on channel 6 in Portland and channel 2 in Bangor. It will also be posted in the 207 section of www.WCSH6.com . This 2014 book gets 4 out of 5 stars. It really held my interest. I found out about a popular cultural phenomenon of the late 19th century-American pedestrianism. During the 1870s and 1880s, America’s most popular spectator sport wasn’t baseball, or football—it was competitive walking. Inside sold-out arenas, competitors walked around dirt tracks almost nonstop for six straight days, risking their health and sanity to see who could walk the farthest—500 miles was standard. This book is about the “final” mega-stroll of Edward Payson Weston, who, in 1909, walked across the USA on a bet that he could ambulate from coast to coast in 100 days or less, demanding an average of 40 miles a day. Weston was 70 years old when me took on the challenge. He was the best known of the competitive walkers. We join the taciturn Weston as he is mostly angered, but rarely dismayed about the unexpected pitfalls that he encountered through the Great Plains-over the Rockies, across some deserts, and often struggling through deep mud. The upside of his western journey were the massive crowds that greeted him as his highly publicized venture was big National news. At the time, there were far fewer roads into the West. The automobile was just gaining momentum at the time, and tarred roads were unheard of outside the more populated Eastern seaboard. Weston often walked the newly established railroad system, and was challenged by navigational issues, deep sections of sticky mud, and downright nasty weather ( He left new your on a chilly March day). The book’s back story is about the loss of walking as a viable means to getting about one’s local communities, as well as a highly interesting discussion about the medical, physical, and spiritual benefits that are gained from spending hours moving about the countryside, on our own two feet. The book is very well written, and authored by Wayne Curtis, the Lowell Thomas Travel Journalist of the Year in 2002. Lowest to Highest, a Backcountry Route From Badwater to Mt. Whitney, Part Four- UFO | CARROT QUINN. PART 3 ( out of 4). The best backpacking writing in November 2014 is right here. 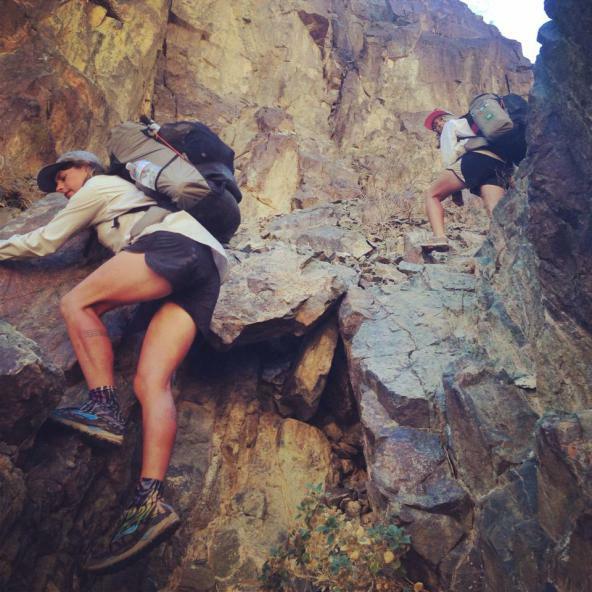 Lowest to Highest, a Backcountry Route From Badwater to Mt. 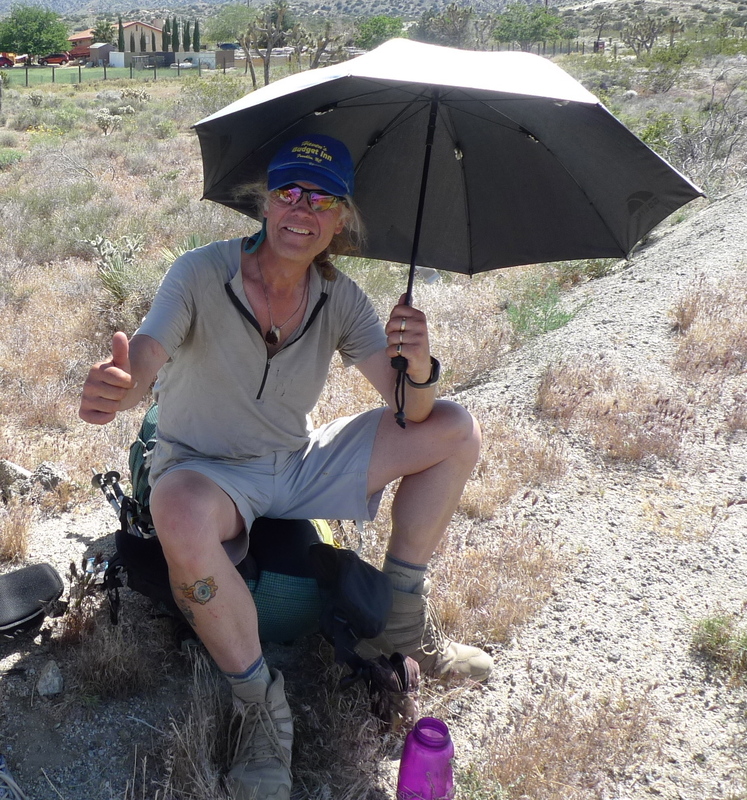 Whitney, Part Three- Heat Exhaustion and Magical Desert Goldfish | CARROT QUINN.